I’m only a three-month-plus-old soldier (unlike most of the people in my batch, who enlisted three to five months earlier), and yet it already seems like a long time! I’m not here to preach about the virtues of the army or how to survive it, but I thought even an experience as short as mine would be worth sharing, given that it has changed me quite a fair bit. It’s just that many people have very different opinions about the army. 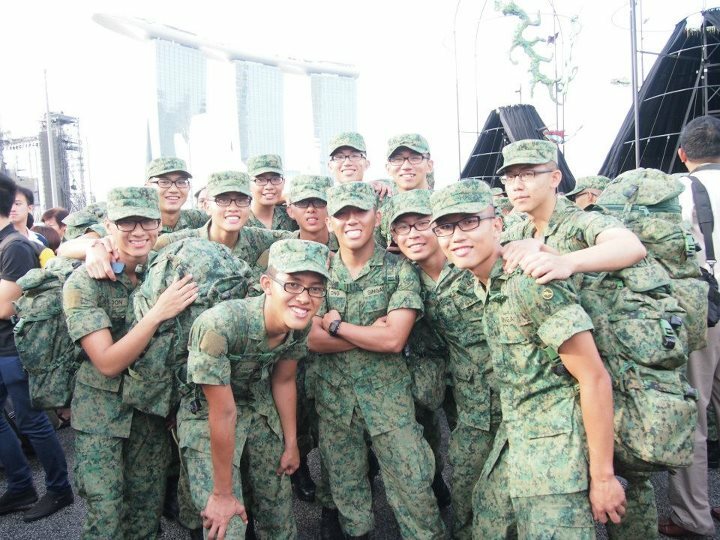 Like a couple of friends I know, I spent the last few days of my freedom frantically trawling through local online forums to find out what army life would be like (in particular, Basic Military Training at the dreaded Pulau Tekong). I suspect some of my juniors would be doing the same thing. As such, here’s my two cents’ worth. Hopefully you’ll find it useful in shaping your own perspective on the army. I remember packing far more stuff than the official ns.sg website recommended. I now have a considerable surplus of military accessories in camp and at home, though some of the other tips were indeed useful (although I cannot recall any of them at this point in time). I learnt a lot of army lingo like ‘you think, I thought, who confirm?’ from online sites, and my vivid imagination conjured horror stories of me being punished for making assumptions. Frankly, the army is actually quite uneventful most of the time – which some people find to be precisely the problem. Different people would, naturally, have very different experiences – a former PES (Physical Employment Status) C recruit, now in OCS (Officer Cadet School), shared with me that whenever they were told to fall in, the refrain ‘seven rows, two blanks, and thirty one men behind’ would be heard. The thirty one men referred to those who reported sick. Those in Taurus company might share with you their horror stories of having to lie flat on the ground at their latrine point during jungle training to avoid simulated artillery shells. My company (Jaguar) was supposedly a white-horse company – we had a son of a general, or something to that effect – although I’m doubtful that had anything to do with the fact that we had a grand total of 1 session of the 5 Basic Exercises (5BX) in my 2 months there (we resorted to own-time-own-target physical training, and did pretty well for IPPT too). I did the same thing when I found out I was to be posted to OCS – I read up, albeit less voraciously, on what it would be like. Some comments on online forums were about as precise as this article of mine (i.e. not very! ), while others combine the words ‘tough’ with ’23km route march’, giving off a stark impression. So far, physical training at OCS has been tougher than anything I’ve gone through, but it actually seems manageable. And contrary to my impression of OCS instructors severely punishing their cadets to toughen them up, we don’t get punished very much: cadets are given appointments and are trusted to get everyone to toe the line. Occasionally we succeed. Essentially, I wanted to send across the message that you shouldn’t assume the worst based on what you hear from others about the army. It won’t be a bed of roses but it’s up to you to frame your experiences accordingly. There are people who are disappointed with not making it into OCS; there are others who’d be more than happy to end up as a clerk rather than a combat engineer. Oh yeah, friends matter. A lot. Adil Hakeem was recently conferred the President’s Scholarship – the first Malay to receive the highest Public Service Commission scholarship in 44 years. 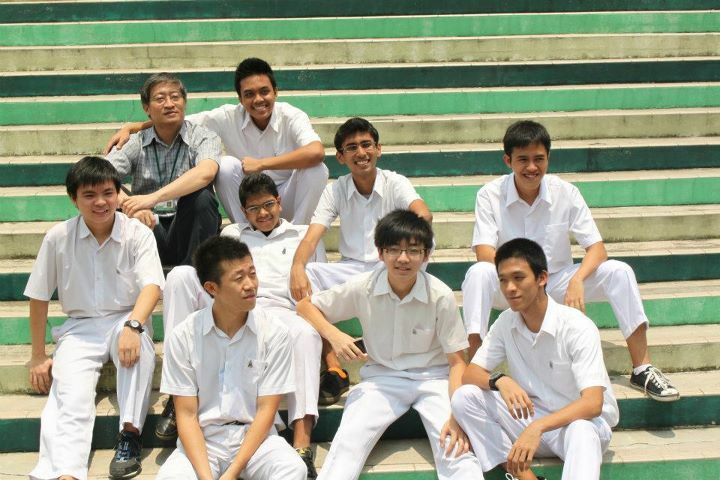 In his time in RI, he read Biology, Chemistry, Mathematics and Economics, and was part of the national debate team which clinched the World Schools Debating Championship. By Anonymous So, you like this girl/guy, and he/she likes you too. What are your options? Our columnist takes you through the various paths you can choose in JC, if you've been shot by Cupid's arrow. Not everyone need take the plunge into a full, exclusive relationship! This week, we launch our very own book review column, in collaboration with ilovebooks.com. In the first of a series, we take a look at Abraham Lincoln: Vampire Hunter.